Ready to SEO your website and gain top rankings? What will you be missing if you do not rank on the 'first page' of search engines for your main keywords? If you are not ranking on the first page of search engines for your keywords you are missing a lot (or most likely you are getting no clicks), and if you rank on the first page but not near the top then you are missing an opportunity to get more clicks. The chart to the left shows the percentage of clicks happening on every position of the 10 positions available on the first page of Google. Mass-marketing was the only medium available back in the days, play the game number, target millions of people hoping that a small percentage will be interested in your product, it worked for some time but with a high cost of acquisition and it was not affordable for small businesses. All that was changed when the web and mainly search engines were introduced to users. Every search starts with a keyword, a keyword represents a question or a need, if you have a plumbing issue in your house and you search Google “Plumber Jacksonville” you are clearly looking for a plumber to fix your issue, that provides business owners/advertisers with a tremendous marketing opportunity to be in front of their potential customers right when they need them. Do you know your keyword? Do you rank for it with search engines? There are a lot of metrics that any business owner needs to keep eye on, starting from finance, to watching the competition, trends etc. I would like to add; knowing your keywords and watching their organic ranking on regular basis is as important. If you still do not know your top keywords you can use tools like Google Keyword Planner https://adwords.google.com/home/tools/keyword-planner/ to find them out. There are 100s of website competing for every keyword when people are typing “Plumber Jacksonville” there are 100s of plumbing websites for search engines like Google to choose from, the 10 websites on the first page are not chosen randomly. Search engines like Google use more than 200 ranking factors in their ranking algorithm, for sure not ever factor has the same weight. The most important ranking factor is inbound links, Google and other search engines see inbound links toward your website as votes, the more votes you get the higher you rank, however; in order for links to work the content on the website must be optimized to target the top keywords. SEO is an evolving process that requires expertise, research and testing. We are constantly monitoring the effects of the latest algorithm updates to help business owners understand the implications and potentiality for improvement with every Google update. With every update we adjust our strategy to work well with the changes made to the algorithm. Wonder what your current provider is actually doing for you on a monthly basis? Understand where your money is going with guaranteed, monthly link building deliverables and clear ranking reporting for the keywords we are working on. Most SEO companies spend lots of resources on reporting, meetings and less time on things that move the needle. With us you can guarantee that the majority of you budget will spent on actions that will move the needle in other words ranking improvement and organic traffic improvement. Take action now, contact us! 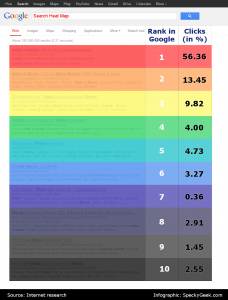 "I have used Jacksonville SEO expert's services for multiple sites and I was amazed by the kind of rankings they got on google search results!"